It seems that tying together Gold and Bitcoin is getting more and more popular as one of the large European Bitcoin exchanges Bitstamp has just announced that they are now also offering a new method of withdrawing funds in the form of physical gold to their EU clients. The Bitcoin exchange has partnered with Moro & Kunst d.o.o. – an internationally recognized precious metals reseller operating in Slovenian, Austrian and Croatian financial market since 1993. 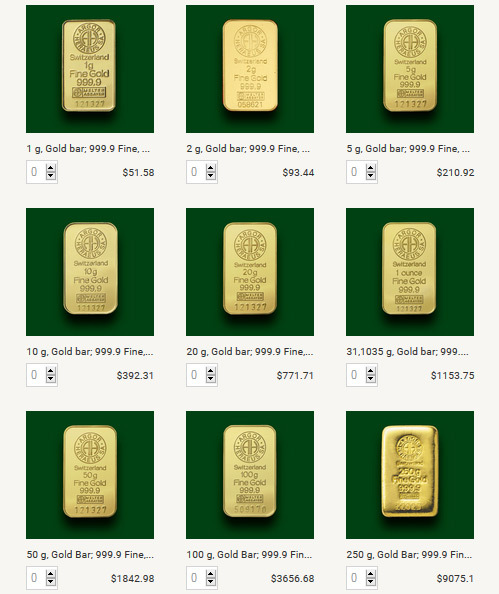 Gold prices are quoted in USD and updated every 5 minutes and at the moment, purchase is only available with USD. Before submitting an order, USD balance must be available, so this means that you need to sell BTC for USD first and you cannot yet directly exchange Bitcoins for Gold. Fully insured gold shipment comes with a tracking number and will be delivered within 2 to 5 business days after the order is placed with optional personal pickup also available in Ljubljana, Slovenia. The service is currently only available in: Austria, Belgium, Bulgaria, Croatia, Cyprus, Czech Republic, Denmark, Estonia, Finland, France, Germany, Greece, Hungary, Italy, Latvia, Lithuania, Luxembourg, Malta, Netherlands, Poland, Portugal, Republic of Ireland, Romania, Slovakia, Slovenia, Spain, Sweden, United Kingdom. There are already quite a few companies that allow you to buy physical Gold with Bitcoin and there is also BitGold that allows you to buy Gold with BTC as well and use it as a means for everyday digital payments. So the options to turn a crypto currency such as Bitcoin to Gold and either spend it for payments or get it in physical form as a long term investment are there, but the question that is more important is if it is worth doing this at the moment. Gold has been a good long term storage of value for ages, but keeping Bitcoins has the potential of good profit on the long term with the increase of the value of the coin, though this is also riskier. Then again why should you stay with everything invested into a single thing such as BTC, a good investment broker would always advice you to diversify your portfolio and that does not mean in other crypto currencies only.